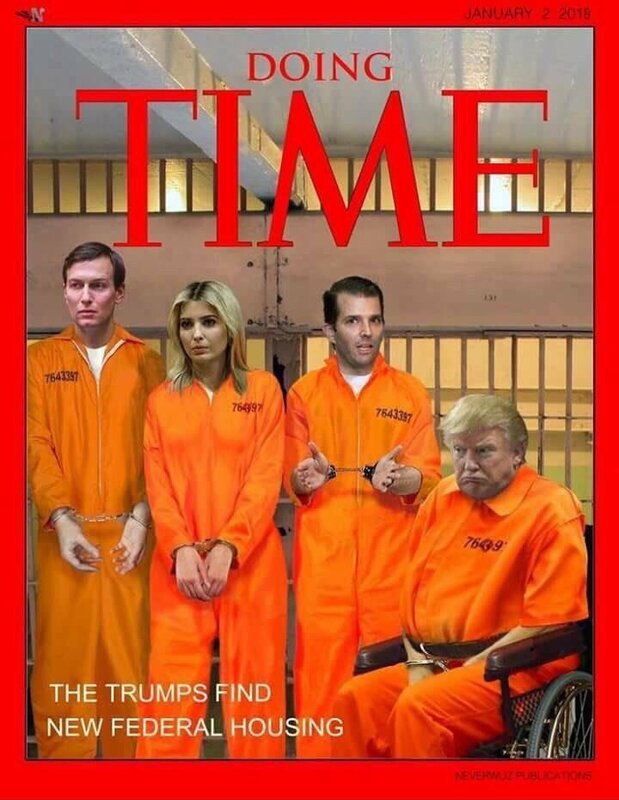 Donald Trump Jr. expects to be indicted. I’d call this a good start. First son Donald Trump Jr. reportedly “expects to be indicted” by Russia probe special counsel Robert Mueller and has been telling people close to him for months, a journalist said Friday, matching the accounts of other people in the political realm. I don’t have Natasha Bertrand’s sources but I agree with her prediction that Junior better have his toothbrush packed because he is almost certainly on Mueller’s list. That will be the best day ever because you just know Trump Sr. will have an absolute meltdown on Twitter. And when Mueller indicts Jared and Ivanka we will see Trump’s head explode.